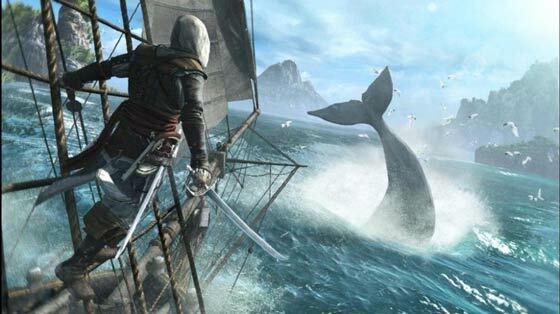 The first trailer for the upcoming blockbuster video game Assassin’s Creed 4: Black Flag has been leaked ahead of today’s 5pm reveal scheduled by software company Ubisoft. Last week Ubisoft published visuals of the official box art from Assassin’s Creed 4: Black Flag with a statement reading “We confirm that Ubisoft will announce all the details of Assassin's Creed IV Black Flag on Monday March 4th at 5pm GMT.” However a video trailer, narrated by infamous pirate Blackbeard, has hit the internet already, please take a peek below. Before this video leaked we also saw a large leaked package of screenshots from the game. I hope Ubisoft has something interesting left to show to us at the planned announcement later today. 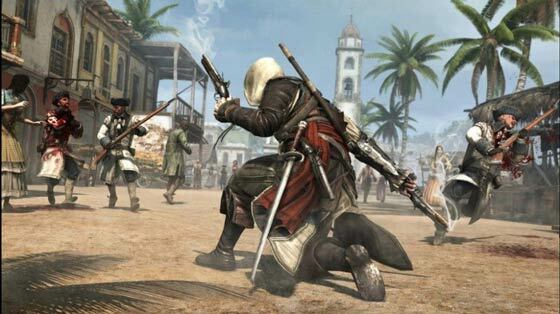 The new game features a main character called Edward Kenway who is the Grandfather of Conner Kenway from Assassin’s Creed 3. Edward is a former British sailor who has become a pirate. He is captain of his own pirate ship called The Jackdaw. The game is set in and around the Caribbean in the early 18th century. 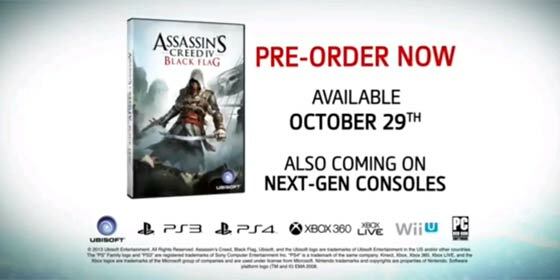 Platforms including the Wii U, PlayStation 3, PlayStation 4, PC, Xbox 360 and the next Xbox will all get Assassin’s Creed 4: Black Flag games. Eurogamer says there are eight games studios working on readying the game on the various platforms. It was hinted that PlayStation 4 owners will get extra game features using the new controller as well as a boost in the visuals department. That is, if I get this am I going to spend (/waste) minutes just wandering around aimlessly? Plus, and fellow AC fans will confirm/deny this, I can't see how the AC mechanic of sneaking around and “taking out” targets without detection is going to work for a pirate. After all - I don't remember a “brace o' buckshot” or a “broadside me ‘earties” being particularly stealthy. I wasn’t keen on the switch to the US, and this one looks even less likely to appeal to me.